We welcome applications from individuals who wish to spend one or two semesters as Visiting Scholars or Visiting Researchers. All visiting scholars must have a faculty sponsor (a full-time, permanent member of the Tulane Law School faculty). Applicants for visiting scholar or researcher status must complete an application form, provide a well-articulated proposal for the research to be undertaken at Tulane, and pay the Visiting Scholar/Researcher mandatory fees, amounting to approximately $2500 per semester for the current academic year. 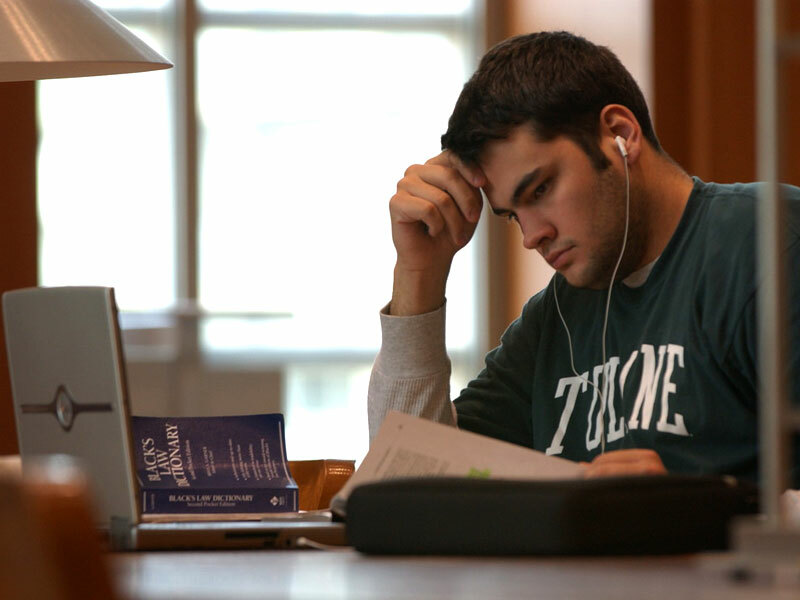 The fees cover use of the Law School and University libraries, technology services including internet access and legal research databases (Westlaw and Lexis), campus newspapers, admission to University events including special lecture series, membership in the Reily Recreation Center, and use of the Student Health Center. In addition, Visiting Scholars and Researchers receive a University identification card and the benefits of affiliation with Tulane University. The fees do not cover use of manuscript delivery services, such as ExpressO or Scholastica, or student research assistants. You may print out the form first and then fill it in by hand or on a typewriter, or you may type directly into the form on your computer, and then print the completed form. The application fee is $60, which may be paid by check or money order, or with a Visa or Master Card credit card, using the form provided on page 8 of the application form. The response to question 15 may require an explanation, which should be furnished to us on a separate sheet of paper attached to your application. Question 16 requires an essay, which should be written by you and attached to your application. We suggest, but do not require, that you include a resume or curriculum vita (CV) when you submit your application. The application materials may be mailed, faxed, or e-mailed to Tulane Law School. Our fax number is 504.862.8853. If you wish to e-mail the application materials, please scan them first, and send as pdf documents to lawabroad@tulane.edu.